Reschduled from the Seattle Snowpololypse! It’s a night without English at the Rendezvous. 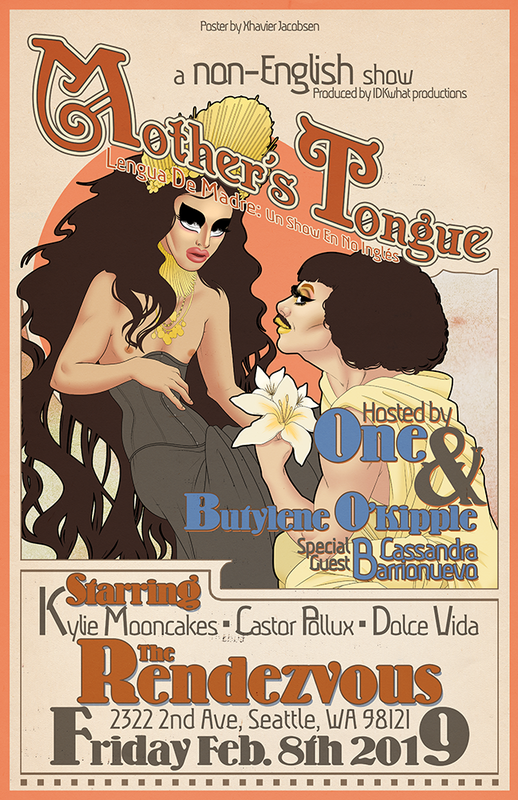 Join hosts One & Butylene O’Kipple as they take you on a journey of polyglottal performances from some of Seattle’s finest artists. Featuring a special guest performance from Cassandra Barrionuevo.